In today’s NHL rumors, there is a little buzz building about Pavel Datsyuk returning to the NHL, but is it accurate? There are updates on the St. Louis Blues and how serious they are about making trades, where the Senators are at with Matt Duchene and trade options for the New York Rangers and Toronto Maple Leafs. 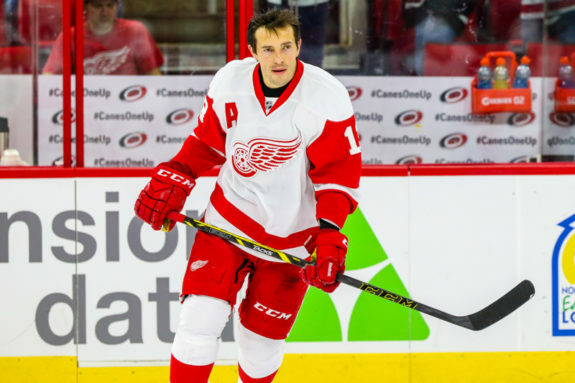 Datsyuk Returning to the NHL? Bob McKenzie noted to keep in mind, Datsyuk’s rights are currently owned by the Arizona Coyotes. He would not be returning to join the Red Wings if he decided to make a comeback. He would become an unrestricted free agent on July 1st. St. Louis Blues GM Doug Armstrong has been working the phones trying to make a trade but he’s asking for some serious assets in return for big-name players. Those asking prices are confusing GM’s as to just how much the Blues are wanting to make a change in direction. 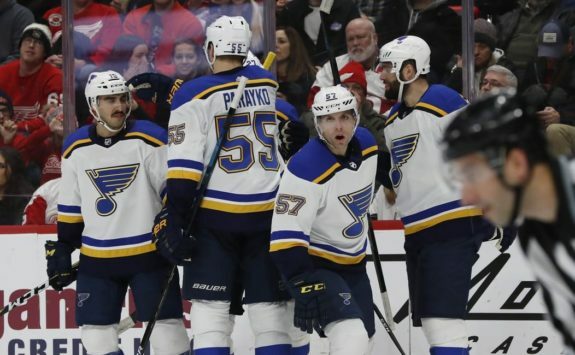 Teams are asking about players like Colton Parayko, Alex Pietrangelo and Vladimir Tarasenko and it’s not like opposing GM’s are expecting to get these players for nothing, but the ask is very high. Yes, he’s [Doug Armstrong] willing to discuss just about any name on the clubs roster, but when push comes to shove his demands for return aren’t considered realistic…“They’ve underachieved significantly and you’ve got to have the ownership’s backing when you attempt to change course the way that they are,” a league executive said Monday. “With where they’re at, they’ve got to sell.” There is no way the Blues were looking to step back or rebuild this year. Not a chance. Garrioch also writes that the Ottawa Senators need to know from Matt Duchene what his plan is. He writes, “While Duchene has expressed a desire to stay with Ottawa, the organization is going to have to get an indication whether he wants to test the unrestricted market or not before the trade deadline Feb. 25.” Garrioch adds that general manager Pierre Dorion has met face-to-face twice with Duchene’s agent Pat Brisson and both sides are hopeful a deal will get completed, but the waiting continues. 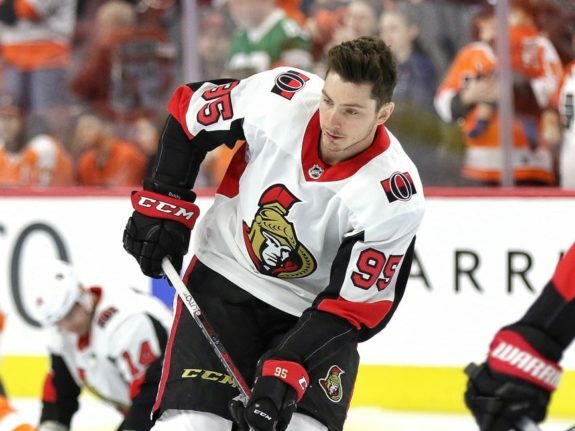 The speculation has always been that Duchene will be part of a group of players leaving Ottawa and testing the free agent market in an attempt to get the most money possible. That’s still likely the case but the Senators appear to want to keep Duchene in the fold. While GM Kyle Dubas has said that he’s not likely to look to the rental market in a major way for the Maple Leafs, it’s hard not to imagine a scenario where the team can improve its odds of contending for a Stanley Cup by adding a player that will be less costly towards the end of the season and doesn’t affect the salary cap in any seasons following this one. Craig Button of TSN threw out some names the Toronto Maple Leafs might want to consider with the $6 million in salary cap space they have this season. Button says three potential defensemen the Maple Leafs could have an interest in are Alex Edler, Niklas Kronwall or Ben Lovejoy. At forward, they might look to add a ‘heavier’ player like Wayne Simmonds, Micheal Ferland or Trevor Lewis. James O’Brien of NBC Sports examines possible moves by the New York Rangers leading up to this season’s February trade deadline. He suggests Mats Zuccarello and Kevin Hayes are names to watch because of their expiring contracts and Chris Kreider and Vladislav Namestnikov could be attractive to playoff-contending teams. He also brought up the possibility of moving goaltender Henrik Lundqvist, though he admits that’s a far-fetched scenario.